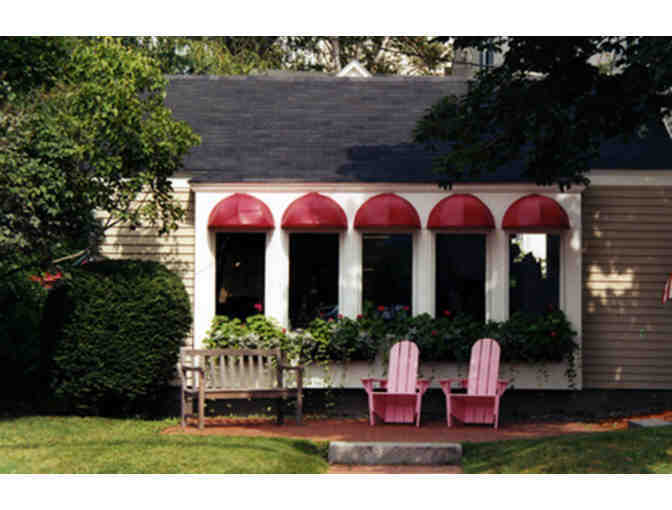 $100 to spend at Carla's, a fixture in Kennebunkport for over 40 years! The clothing and accessories found in Carla's have been personally selected by her from the many fashion markets in New York City and always represent the very latest in distinctive design. As a retail store of long standing, Carla's has earned the reputation for offering a discriminating line of clothing along with exceptional personal service. You are invited to come in at any time to shop or perhaps do a little browsing. While in the store you may also wish to explore the sale room for many interesting things to be found there.